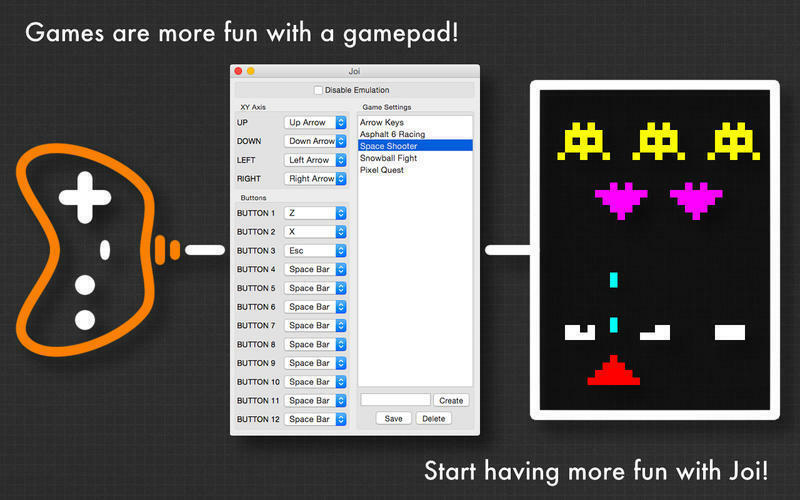 Play games with a gamepad or joystick. Is there a better alternative to Joi? Is Joi really the best app in Other category? Will Joi work good on macOS 10.13.4? 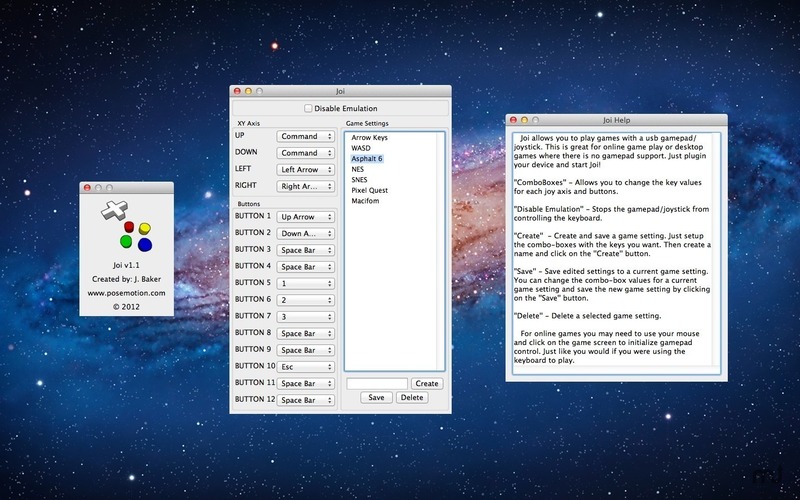 Joi enables you to play games that do not have gamepad or joystick support, such as online games or even desktop games. Just plug-in your gamepad/joystick via USB and then start Joi. It's as easy as mapping the keyboard keys that are supported by the game to the axis and buttons of your device, then saving the game setting. It can even run behind fullscreen games! Updated for OS X 10.10 Yosemite! New icon to match OS X 10.10 Yosemite. Joi needs a review. Be the first to review this app and get the discussion started! Joi needs a rating. Be the first to rate this app and get the discussion started! Want to make sure your gamepad/joystick works before purchasing Joi? Then get "Joi GamePad Test" from "Related Links"!